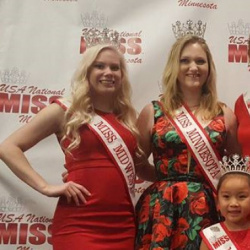 This pageant is open to girls living in Minnesota, South Dakota, North Dakota, Iowa and Wisconsin ages 4-25. The USA National Miss Scholarship Organization is a national pageant program that combines all the beauty and excitement of pageantry with the glamour and energy of a runway fashion show – while recognizing the personal achievement, community involvement and academic excellence of young women all across the USA. Our program is designed to award young women for their accomplishments, and to mentor them to reach their goals and unleash their true potential. 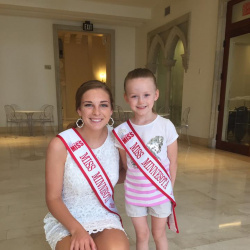 USA National Miss will award six prestigious national titles and thousands in cash scholarships at the June 2014 national pageant in Daytona Beach, Florida. USA National Miss has been featured in the national media: Pageantry Magazine, MTV Made, Tiara Magazine, American Model & Pageant Magazine, The Pageant Planet, and Pageant Talk Radio.